No matter what the charge, it is critically important to hire an experienced criminal defense attorney to represent you. With your freedom and your future on the line, nothing could be more vital. At Mirabella, Kincaid, Frederick & Mirabella, LLC, our attorneys have over 100 years of combined legal experience. We offer clients high-quality legal representation in many criminal matters. Depending on the value of the item(s) stolen, a charge for theft or shoplifting can be a misdemeanor or a felony. Penalties for convictions in these cases can involve significant jail time. Additionally, theft and shoplifting are considered “crimes of moral turpitude,” which means an arrest or conviction in these cases can negatively affect the immigration status and naturalization process for defendants who are not U.S. citizens. Our attorneys are experienced in handling theft cases. We understand the stakes involved and aggressively defend our clients&apos; freedom and record. Drug charges are some of the most common criminal charges in Illinois. Consequences for convictions on drug charges vary greatly depending on the type and quantity of drug involved. No matter what the charge, the attorneys at Mirabella, Kincaid, Frederick & Mirabella, LLC will thoroughly and vigorously defend you. In many cases, it is possible to successfully challenge the legality of the search that uncovered the drugs. Our attorneys are experienced in making Constitutional arguments, and we pursue every possibility to obatin a dismissal, acquittal, or negotiate a favorable plea agreement. Being arrested and charged with a DUI is very frightening. DUI charges can threaten your driving privileges, your livelihood, your insurance premiums and your freedom. 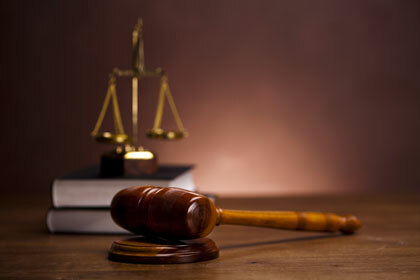 We take DUI charges very seriously and offer our clients zealous representation. Many people assume that it is impossible to fight a DUI charge, but that is a false assumption. We use many strategies to successfully defend clients against DUI charges. If you or a loved one has been arrested and charged with a crime such as theft, shoplifting, drug charges or a DUI, contact us at 630-665-7300 to discuss your case. Our attorneys work with clients in DuPage, Kendall, and Will Counties.